¶ 3 Leave a comment on paragraph 3 0 You’re No Good is generally attributed to Jesse Fuller. Fuller was born in 1896 in Jonesboro, Georgia. He spent the majority of his life working at a variety of blue-collar jobs and playing music on the side. 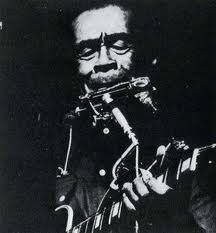 ¶ 4 Leave a comment on paragraph 4 0 He benefited from the folk and blues revival that swept the US in the sixties. He played at both the Monterrey Jazz Festival and Newport Folk Festival. He was the opening act for The Animals and The Rolling Stones. His best known song is San Francisco Blues, which was covered by Peter, Paul and Mary, Hot Tuna and many others. ¶ 5 Leave a comment on paragraph 5 0 Dylan says he met Fuller in Denver, Colorado in 1959. Dylan has acknowledged his debt to Fuller in several interviews. 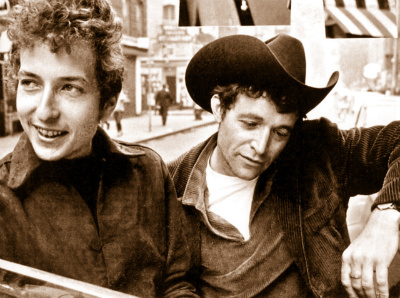 Some researchers believe it is possible that Dylan got the idea of using a harmonica rack from Fuller. ¶ 6 Leave a comment on paragraph 6 0 According to Todd Harvey, author of The Formative Dylan, Fuller did not actually record You’re No Good until 18 months after Dylan. He argues that Dylan most likely learned it from Rambling Jack Elliot, a good friend of Dylan and intimately familiar with Fuller’s work. ¶ 7 Leave a comment on paragraph 7 0 Elliot was a close friend of Woody Guthrie and a major influence on Dylan. Many have remarked on the similarity of their singing styles. Although Elliot was never a songwriter of note, he was an excellent interpreter. All Dylan fans should have at least one of Elliot’s “best of” packages in their collection. ¶ 8 Leave a comment on paragraph 8 0 Apparently he was not the greatest father. His daughter’s documentary The Ballad of Ramblin’ Jack is worth checking out. ¶ 9 Leave a comment on paragraph 9 0 Other Dylan renditions of You’re No Good can be heard on the well-known East Orange and Minnesota Party Tape bootlegs. I come home last night you wouldn’t even let me in. Youre takin all my money, give it to another man. Youre that kind of woman drives a man insane. Well, you give me the blues, I wanna lay down and die.